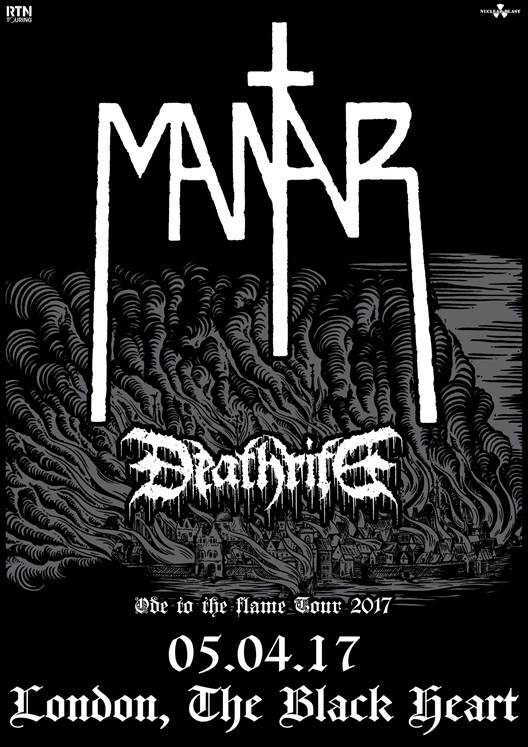 orthern Germany’s infernal extreme metal duo Mantar are very pleased to announce a UK headline show on April 5th, at London’s infamous music establishment the Black Heart in Camden Town. Support will be coming from severe Dresden based death/grind outfit Deathrite. 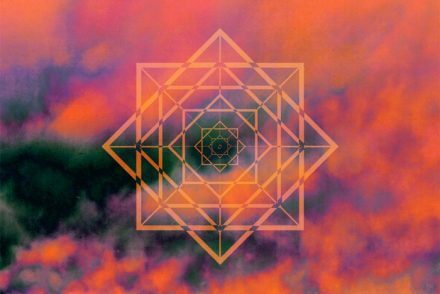 Mantar released their second record ‘Ode To The Flame’ in April 2015 – and it garnered the potent two piece exceptional critical praise. ‘Ode To The Flame’ continued the tradition of Mantar’s debut record ‘Death By Burning’, by maintaining the cleansing power of fire as the key theme; fire is able to resist anything and has the potential to erase this planet one day from any plague. It’s a forceful and drastic record – an ode to passion and iron will. Ever since their inception in early 2013, Northern Germany’s two-piece chimera, Mantar, have been recognised as one of the hardest working bands in the underground. Melting the most sinister elements of doom, punk and black metal through an unfiltered lens of pure primal rage, Mantar have quickly proven to be louder and more ferocious than most bands twice their size. The half-German/half-Turkish duo, consisting of vocalist/guitarist Hanno Klaenhardt and drummer Erinc Sakarya, self-released their first 7″ single in late 2013 which directly led to a deal with renowned label Svart Records to record their full-length debut. 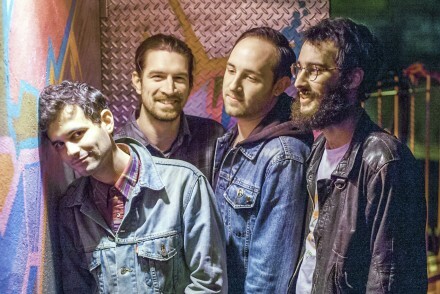 Recorded in 2013 and titled ‘Death By Burning‘, the album was a raw, self-produced, and 100% DIY display of power appearing on numerous year-end best-of lists including LA Weekly (US), Exclaim (CA), MetalSucks (US), Terrorizer (UK), Metal Injection (US), Metal Hammer (DE) and many more. Savoir Adore’s The Love That Remains – Out physically in the UK now!